Ben Silliman, AUP Class of 2015 at the College of William and Mary, reflects on his summer internship at the Office of Marine Environmental Response Policy at Coast Guard Headquarters in Washington, D.C.
As a chemistry student at the College of William and Mary, I spend a lot of time in lectures and labs learning specific principles of how atoms and molecules interact with each other. However, it is rare for someone studying in the hard sciences to be able to step back and view the social importance of many scientific problems. 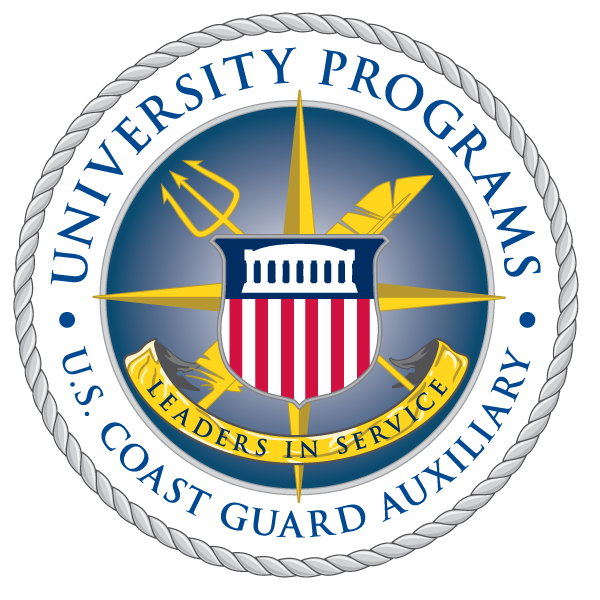 As an intern this summer at Coast Guard Headquarters in the Office of Marine Environmental Response Policy (CG-MER), I was given the chance to apply my knowledge to some of the most pressing issues faced by the world today. Pictured left: Silliman gives a presentation on the properties of Canadian oil sands to CG-MER personnel at Coast Guard Headquarters in Washington, July 18, 2013. U.S. Coast Guard photo. The extraordinarily large demand for energy in the 21st century has opened up an entirely new industry for extracting oil from the ground. This new process involves digging up a substance called oil sands, which is essentially sediment that has become saturated with a thick oil called bitumen. The processing and transportation of these oil sands products has recently become commonplace in Canada, and the United States has become a major importer of these goods. While the United States is importing large amounts of energy from Canada, it is also bringing a host of environmental threats with it. I spent much of my summer analyzing the chemical properties of these oil sands products, and I created a report to help Coast Guard responders efficiently recover oil sands products in the event of a spill. These actions have the potential to reduce the recovery costs and environmental impacts of the spilled oil sands products. Pictured right: Silliman poses with Coast Guard officers at the retirement of Mr. Robert Pond, a senior technical advisor to CG-MER. U.S. Coast Guard photo. Taking my research a step further, I wrote an abstract for the 2014 International Oil Spill Conference detailing how to better plan for a potential oil sands product spill by looking into the environmental characteristics of the areas at risk and determining the likelihood for the oil sands products to sink. My abstract was selected as a primary paper in the conference and I will be presenting my findings and ideas to the international environmental community in May 2014. Not only did this internship give me the perfect venue to apply my chemistry knowledge to a major issue, but it also exposed me to how government environmental regulations are created and enforced. I had the privilege to tour many other organizations as well, including the National Response Center, the American Petroleum Institute, and the Bureau of Safety and Environmental Enforcement. Pictured left: Silliman receives the Auxiliary Letter of Commendation award from Capt. Claudia Gelzer, chief, Office of Marine Environmental Response Policy at Coast Guard Headquarters in Washington, July 31, 2013. U.S. Coast Guard photo. The people in the Office of Marine Environmental Response Policy and the Coast Guard were all incredibly helpful and encouraging -- from supporting me in full with my work to taking time out of their already very busy schedules to teach me about the Coast Guard and the science and techniques behind oil spill response. I have come away from this internship with a phenomenal growth of my knowledge and even more incredible experiences.